The internet is bursting with amazing DIY ideas to ensure your house is the ultimate Halloween hangout this year! We’re just a little bit obsessed with these Man Eating Plants, especially if you’re channeling your inner Steve Martin and incorporating a Little Shop of Horrors theme. The wow factor of these is well worth your time and creativity and if you happen to have columns or pillars on your porch you can bypass the pots and spray foam all together! 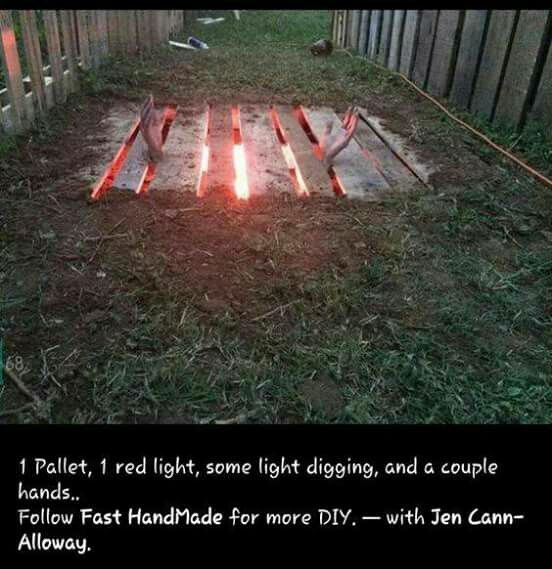 Pallets have a ton of different uses during Halloween, from wooden signs to creepy old cemetery fences but one of our faves is this Illuminated Zombie Pit, there are several variations so if you’re worried about digging up your perfectly manicured yard, you can post this up on cinder blocks. Try your local Facebook Marketplace or Craigslist to score a free or cheap pallet or swing by a big box store and ask if they have an extra! Never underestimate the power of lighting, this is a cheap way to make a big impact whether you’re going for spooky and scary or your goal is a walkway of whimsy. Swap out garage and porch lights with black light bulbs which are downright inexpensive at Wal-Mart or Amazon. You can’t go wrong with orange or purple light strings and there are a ton of Great Lighting Ideas to spark your inspiration.